I still remember the day Tech Mahindra was listed in the Indian stock market. It was back in 2006, and I was with my colleague in front of the terminal. Offered to the public at INR 365, the stock price rose to INR 560 the same day.Value appreciation of 53% by the way, in the day of listing! “Wow! Seems like this fundamental thing is the real deal! I have to wrap my head around this thing !” I thought. Those were the days when I spend a bigger chunk of my salary for buying financial magazines and books. I attended all kinds of financial market trainings that I could afford. “Why isn’t this lad going abroad to search for a job?”, somebody asked. “Well, I am happy with my current job ...” I smiled. All of a sudden, the protagonist started going through bad times- Not me, the Tech Mahindra stock. The price was falling and saying that the situation was bad would be an understatement. During the global recession of 2008, the stock, my dear multibagger, fell lower than the initial offer price. Many of my friends in the market those days, went abroad- which wasn’t looking like a bad idea to me after all. Old traders and dealers were nowhere to be seen. The market was calm after the storm that occured. The price fall of that stock made a disappointment in that year. But you know what a greater tragedy is? The story of the Sensex! It fell from 20,000 levels to 7,697 levels. Oh, yes you read that right! That’s a drop by a full 12,303 points by the way. “It’s gonna get down to the 2000s…..”, the better trader among us prophesied. “There’s got to be a support right?” I asked eagerly. This is the man who day traded and made nearly INR 50,000 in single day and treated us biriyani. Impatiently, I turned to my bookshelf for answers. Seems like Benjamin graham and Peter lynch had no answers for huge market failures,as many days passed. Thank God, the trader’s prophecy didn’t become true ! The bulls came back and the index started reversal from bottom. It wasn’t late before they started to run, pulling the economy from the mess. 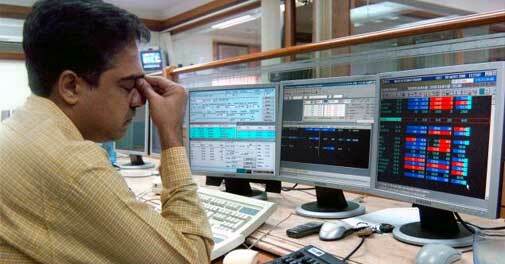 From a point of total despair, the market rose alive and in six months, the BSE index crossed 15,000 points again. That was uncalled for. I never thought, it would all be back to normal in that short time frame. Those days of despair taught me one big lesson- there may be fundamental concepts such as Earnings Per Share or Price to Earnings ratio, there may be book balue or Price to book ratio. But above all this, there is always a market sentiment. I entered the world of charts, because that’s where market sentiments can be captured. The recession of 2008 showed me that profits from stocks are not just a bunch of numbers and efficient companies, but also the perception of the public - the mass psychology of the market participants. A person booking partial or full profit during the good times, can avoid many such pitfalls. Also remember to use pitfalls to buy stocks in a bottom fishing strategy. You should be able to look at a company’s financials and at the same time be aware of the market sentiments. And that is when you get a broad picture to play well in market.